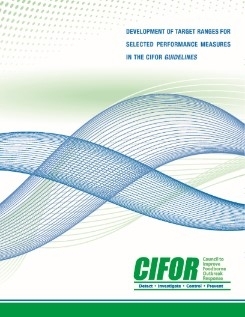 CIFOR developed standardized performance criteria and metrics to promote a common understanding of the key elements of surveillance, outbreak investigation, and control activities. The CIFOR Metrics facilitate staff training, allow for program evaluation, identify specific needs for improvement, and help agencies demonstrate their public health effectiveness. Who should use it: Any public health entity involved in the detection, investigation, control, or prevention of foodborne illness outbreaks. For more information contact info@cifor.us.